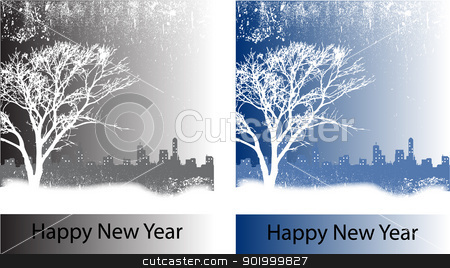 Dark blue and white Christmas trees landscape background, spruce forest silhouette. Petite snowflakes that are inside large snowflake. Frosty ball covered with a pattern of frost in the form of blizzards. EPS vector illustration.